· Weathering area is just down the hallway from the Silver Maple room. · Registration and payment online will be rewarded with tasteful gifts at the meet. · Please at least let us know you’re coming by December 3rd!!! · Banquet (and social hour beer) will be catered by Toftrees. · Social Hour with cash bar (6:00-7:00 PM). · 7:00 Dinner will be served. It is not necessary to be a member of PFHT to attend the field meet or banquet. Members of PFHT that are not current with their dues may still attend the event. Only members of PFHT that are current with their dues (2018) will get their WingBeat. PFHT License Plates are only given to a member that pays their dues for three years. Anthony Martone – Lure Puller! If you would like to donate something to the meet raffle please reach out to Sam(Meet Chair) or Patrick(President) and let them know that way we can make sure that you get listed on the donators list and raffle flyer! As of December 4th. Registration is now the full $35, as the pre-registration discount window has closed. By using the pre-paid meet registration you will save $10 dollars off the registration itself. Pre-paying saves you time at registration (your packet will be ready to go, including your license plate if you pre-pay your dues for 3 years) as well as saving the club volunteers time at the registration table until December 3rd. The pre-pay form will forward the total price directly to the paypal payment portal, thus allowing you to pay with your existing paypal account or just by traditional credit card payment. If you have any problems do not hesitate to contact your club officers to help you out! RSVP Only Meet Registration – RSVP Only Meet Registration is Closed – Special circumstances must contact the Meet Chair, Sam Findley, directly. This link is a way for members and non members alike to register for the meet and confirm banquet reservations without pre-paying. It will send the meet team a confirmation with your meet registration and banquet count for file. Payment will be due to the registration table at check in, but your information packet should be ready to go! Dues confirmations are not available on this form, so if you’d like to or need to renew your dues you will also take care of that at the meet registration table. While at the meet we are trying something new, making a way for attendees to upload photos taken on their mobile device or camera right to a dropbox folder. 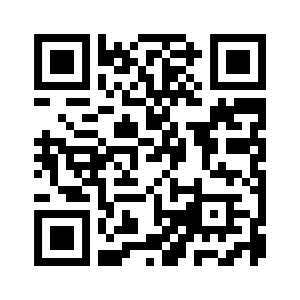 You can get to this publicly accessible upload portal at: https://www.dropbox.com/request/DTIMgQMayXn1LKgLIpDQ or by scanning the following WR code.